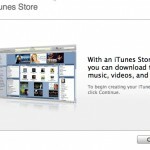 To download iPhone/iPod touch applications you need an iTunes account. That account will be needed to access iTunes U and review podcasts. We talked about the steps before but now it is easier to create one. I recommend creating two iTunes accounts: a Saudi iTunes account and a US iTunes account because there are Apps that are restricted to some countries. Konami games for example, are not available in the Saudi iTunes Store. 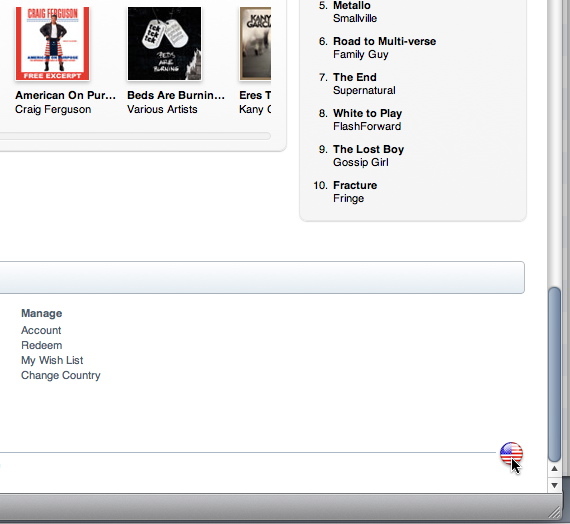 In iTunes 9 go to iTunes Store, scroll down to the end. Click the flag in the lower right corner or click on Change Country. Choose the country. 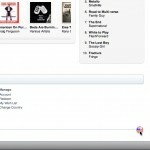 On the top of the iTunes Store page click App Store. Find any free iPhone/iPod touch app and click the FREE buy button. Click the following link to go to Apple’s Remote app page. 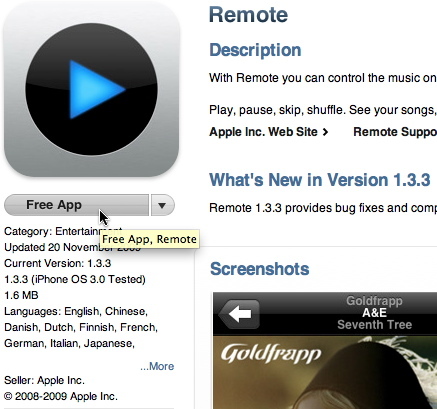 Remote is a free iPhone/iPod touch app from Apple that allows you to control iTunes. Click Free App to acquire it. 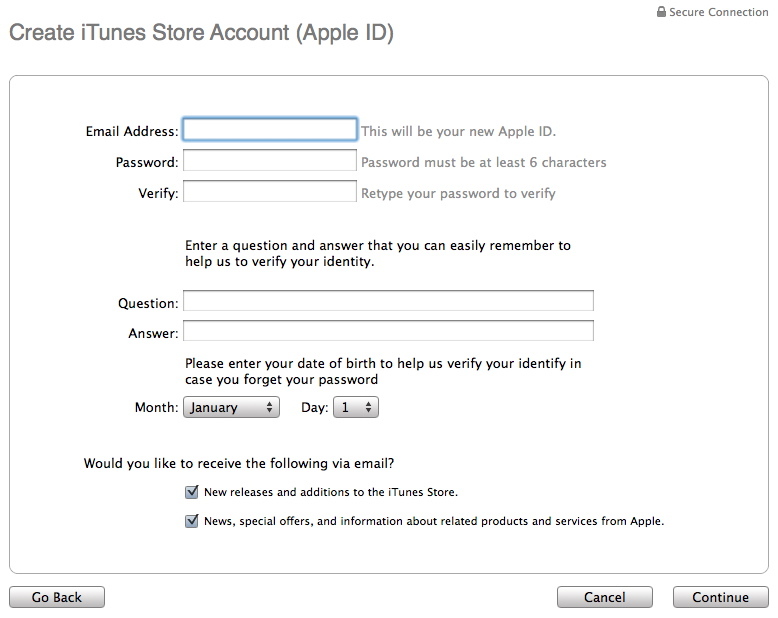 You will be asked to sign in the iTunes Store, click Create New Account. 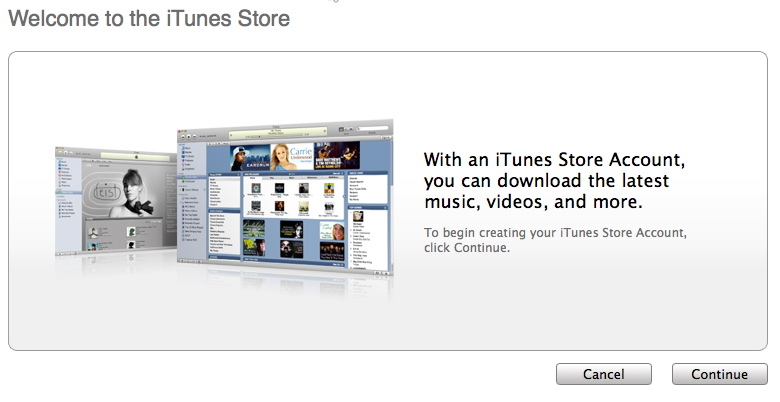 You should get a Welcome to the iTunes Store screen. Click Continue. Read and accept the license agreement then continue. Enter the required information in this page. Your email address will be your login username. Now just choose none as a payment option. If you own a credit card in the country of the iTunes Store (Saudi Arabia for example) then you can use your credit card here. 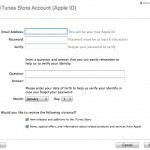 If you have an account with a US mail forwarding service (for example Aramex or MyUS) then use it as your US iTunes address. 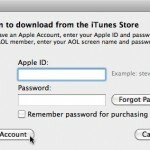 Now you have an iTunes account, if you want a second one for another country then just repeat the process. 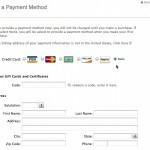 If you don’t own a US based credit card then you cannot make any purchases from the US iTunes Store. The solution would be to buy an iTunes Gift Card. 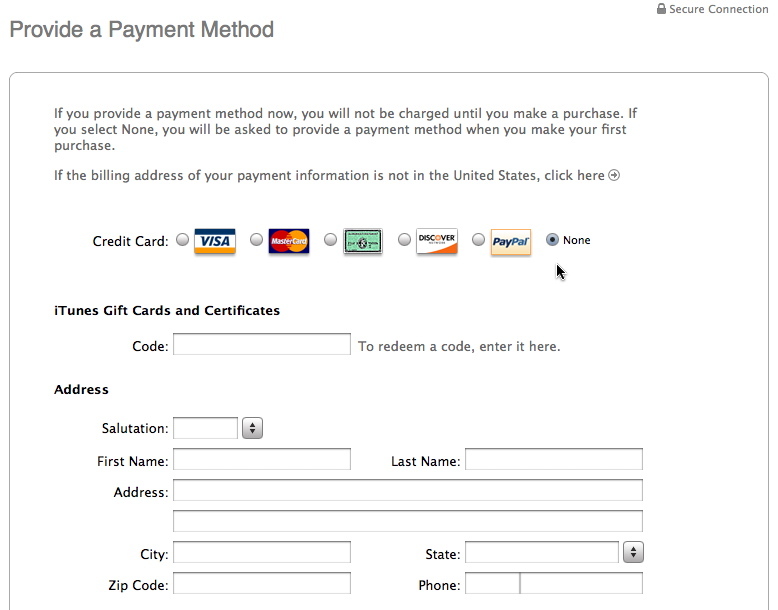 You can purchase a Gift Card directly from Apple and ship it using a mail forwarding service. On the other hand you can buy it from a third party site such as this and they will send you the code by email immediatly. To redeem a Gift Card code, visit this page. Sorry for the lack of posts, I have been extremely busy for the last few weeks. Update on 27/12/2009: changed steps based on Apple’s KB article. i got a Q i read on some other sites that i can skip the credit card thingy!! i knw it’s 2 much but would somebody please tell me what 2 do???? can i get a store to order me a USA gift card? This is the site that I would recommend you go to. It has worked for me and the service is fast. I use http://iTunes-GiftCards.com too, and that has worked great. Very helpful, and an FAQ that tells you how to get it working, step by step. hey thanks for this!! excellent! there is no option choose â€œnoneâ€ in the payment option. You need to purchase a free item. yes, but there should be a “none” option like the screenshot. if I buy the iTunes gift card from one of the Apple suppliers in Jeddah like i-weaver, would the card works for US iTunes store? if it’s an american gift card then yes. no none icon in the an application why?! start over. choose a free app and click buy and make an account. itunes us music store access .. buy using vodaphone card numbers or mobinil or etisalat ..
please can any one tell me how to use agift card for apple store?